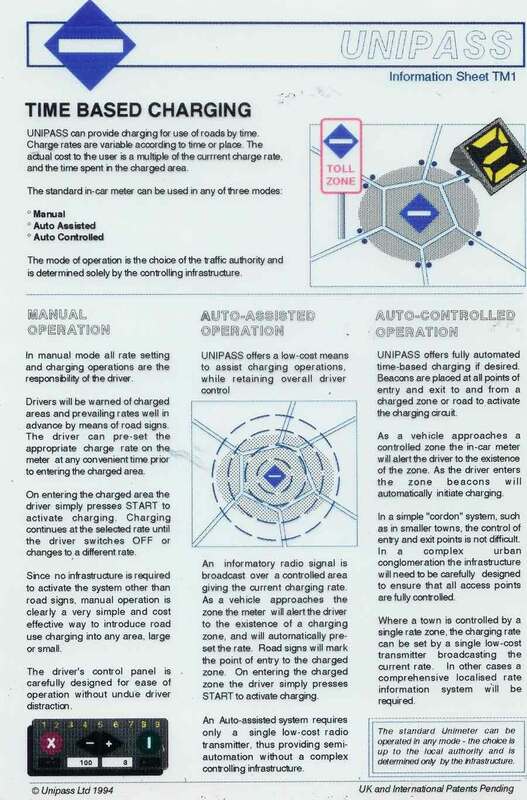 The Unipass road use charging system was conceived and patented by Richard Bird in Cambridge in 1990, and developed further in collaboration with Marcial Echenique & Partners. It was developed between 1991 and 1997 as a general purpose road use charging system capable of application in a wide range of situations, from urban congestion charging to motorway tolls. It could also be used for parking payment. Many cities and authorities expressed interest including Bristol, Edinburgh, Cambridge, Gothenburg and Athens. Research funding was provided by the EU. The system was ahead of its time politically, and development work ceased in 1997. 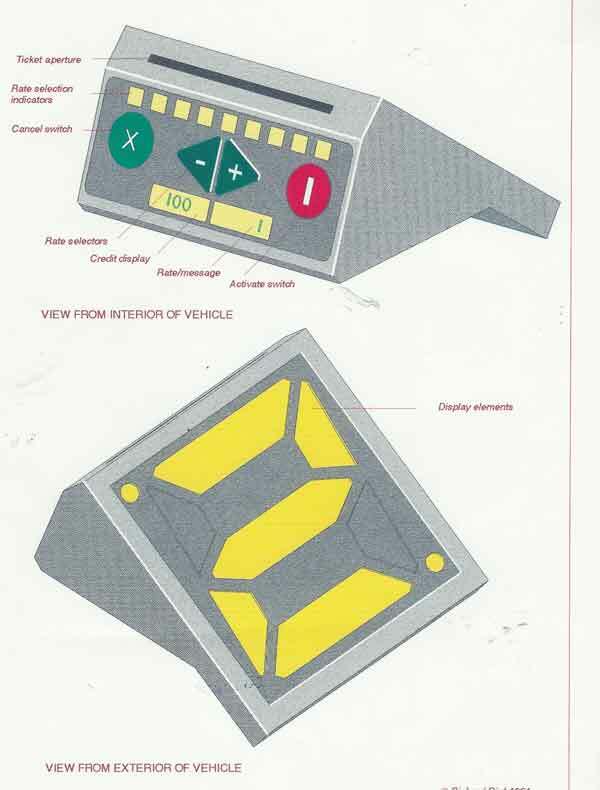 The core of the system was the Unimeter, a self contained 'pay and display' device which is placed in the windscreen of a vehicle. 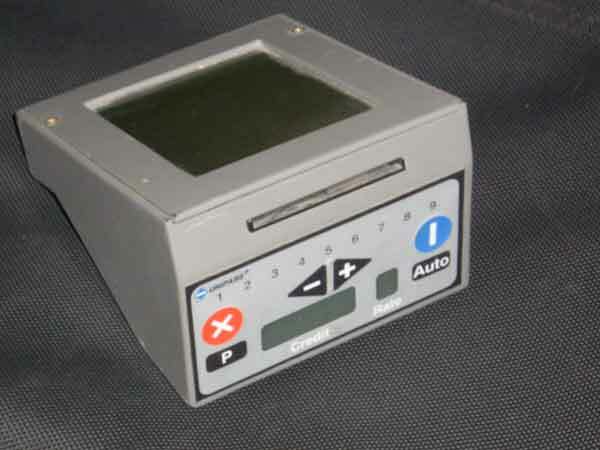 It comprises an external display for monitoring, an interior control panel for the driver, and a slot for a pre-paid charge card or smart card. Installation takes one minute. Operation is very simple, the unit is purchased at petrol stations and simply fixed in the windscreen by the driver. The unit can also be used to pay for parking in towns. The Central zone is Time Charged. This is fairer and more efficient than the flat daily charge of the present system. The flexibility of the system also allows "Tollpoint" charging on major approach roads such as A40/Westway and the M4. Charging for road use can be either Time-Based or Toll-point based. This information sheet describes Time Based Charging, mainly applicable in urban areas. 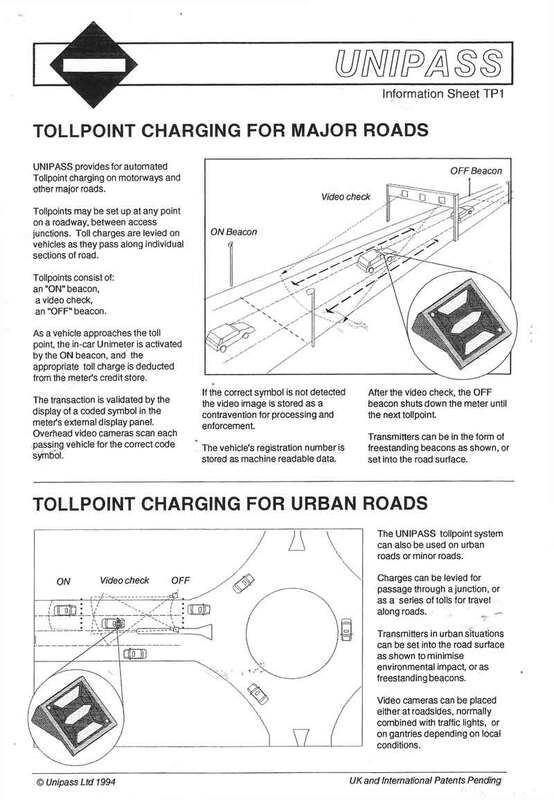 This information sheet describes Tollpoint charging, mainly applicable for motorways, major roads and major urban roads.